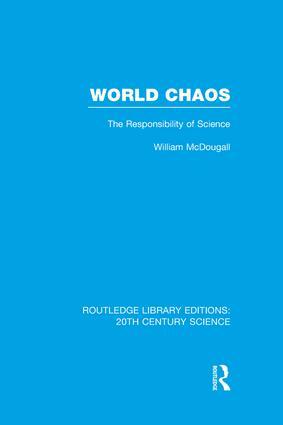 This book, first published 1931, examines the attitudes surrounding the natural sciences at the time of writing, and contends that an unreflective belief in the power of science, and especially in humanity’s capacity to turn such knowledge to noble ends, could lead to catastrophic results for human civilisation. Commenting on the forced industrialisation in Russia, India and China that was proceeding with little regard for human life at the time, the unsustainable inequality generated by modern Western capitalism and many other related issues, the author argues that it is necessary to devote the same energy to the resolution of social problems as to scientific research and development. His thesis, though expounded with reference to concrete situation different from our own, is nonetheless as relevant today as it was when first published.